New Zeiss Batis 18mm F2.8 lens reviews now available on the web with tests, sample images and videos. The Batis-series lens 18mm is a super wide optic designed for Sony E-mount full-frame cameras. The lens delivers a 35mm focal length equivalent of approximately 27mm when attached to mirrorless shooters with APS-c sized image sensors. The design of the lens is based on Distagon and comprises 11 elements in 10 groups. Maximum aperture of the Zeiss Batis 18mm lens stands at f/2.8, where the minimum one is f/22. It will cost $1,499 in US and will ship along with a detachable lens hood. After the launch of the wide-angle optic several Zeiss Batis 18mm F2.8 lens reviews appeared online. Several full in-depth Zeiss Batis 18mm F2.8 lens reviews and tests can be found below with samples and hands-on videos. It was an amazingly sharp, well built, weather sealed, fast and accurate auto focus which was a dream to use. 18mm is one of my favorite focal lengths. It’s super wide with minimal distortion. In fact when I was using Canon I picked up a Zeiss 18mm 3.5 lens because my 16-35 was not very sharp at all. I quickly replaced my 16-35 with an 18mm and a 28mm. I felt much better carrying 2 small light fast primes than risking soft shots wide open in late light for clients. With 5 axis image stabilizer and the 42 mega pixel files it’s rivaling medium format for a fraction of the cost. Thank Zeiss for constant pushing to make superior lenses that do exactly what I need. Thanks to its large field of vision with extremely low distortion, it’s perfect for architectural photography. The ZEISS Batis 2.8/18 fulfilled a long-held wish he had had for a wide angle with excellent imaging performance. The Zeiss Batis 18mm f/2.8 Distagon is the finest 18mm lens ever to be produced for full frame cameras. All in all, I was exceptionally impressed with the performance of this lens and the image quality it produced. All of the photos I’m sharing today were taken with this Batis 2.8/18 and the Sony a7R II back in January. ZEISS Batis lenses are also equipped with dust and weather seals, allowing them to be used in even the harshest weather conditions. 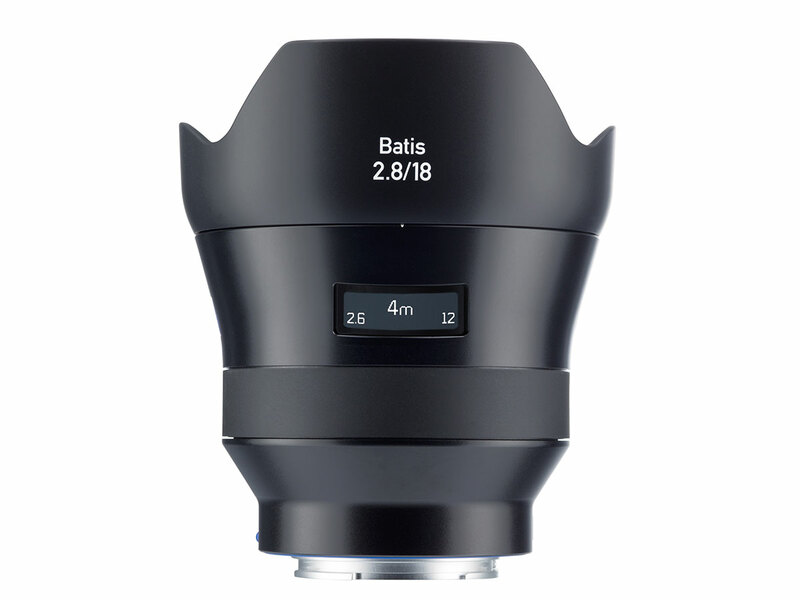 All ZEISS Batis lenses support all the operating modes and functions of the current range of E-mount cameras. The first two Batis models are the 25mm f/2 and the 85mm f/1.8 as these optics deliver a very high image quality and provides the same dust and weather seals. The brand new wide-angle prime optic features an OLED screen, just like its siblings. We think that these Zeiss Batis 18mm F2.8 lens reviews and tests are helpful if you are deciding to buy or prefer this wide-angle optic for full-frame mirrorless cameras.